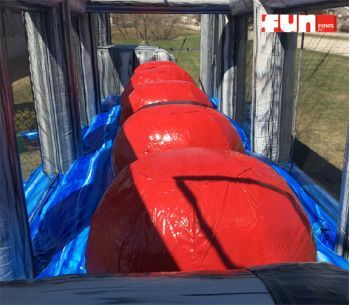 It's the Big Baller Inflatable Running Obstacle Challenge. Your guests climb to the top of the elevated starting platform to attempt to run across the inflatable balls to make it to the other side. 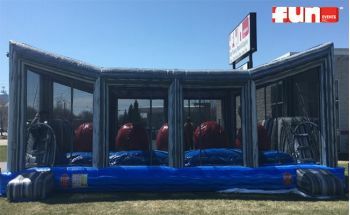 Your guests will either have forward momentum to make it from one ball to another, or they will fall onto the inflatable ground along the way. This fun new obstacle is also known as the wipe out inflatable, leaps and bounds inflatable ball running obstacle challenge.